A shocking video of a Kimberley Boys’ High School throwing water in a teacher’s face raised eyebrows and shocked social media on Monday. 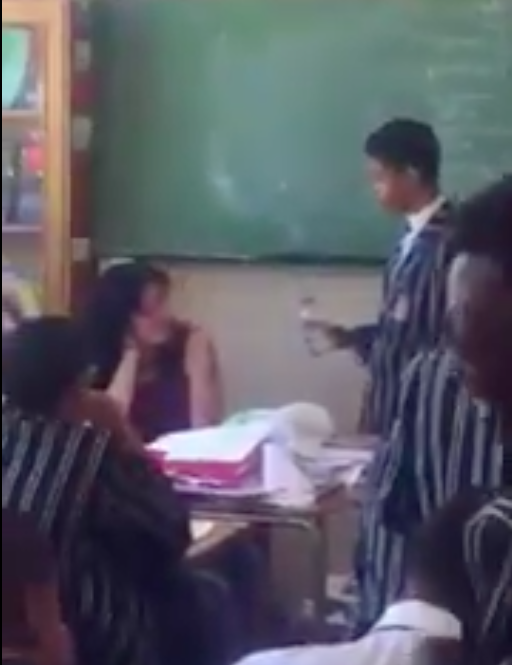 In the 30-second video, a Grade 9 pupil is seen speaking to a teacher at her desk with a plastic bottle clearly visible. The next moment the boy says, "You're a great teacher, ma'am” and splashes water in her face. The teacher tries to get the bottle of water from the pupil and heads for the door. An anonymous teacher called in on Breakfast with Martin Bester admitting about the circumstances in which teachers have to work in. She says, "It was always my dream to become a teacher but this year I've been thrown with a chair and I've been hit twice after trying to stop a fight. It's been difficult." Martin Bester said it would not have happened when he was in school. Child psychiatrist, Dr. Sarvani Pather had an insightful conversation with Martin Bester about aggression among children. Did this happen when you were in high school? Let Martin Bester know in the comment section below.